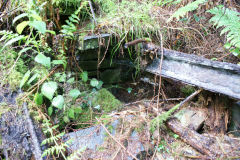 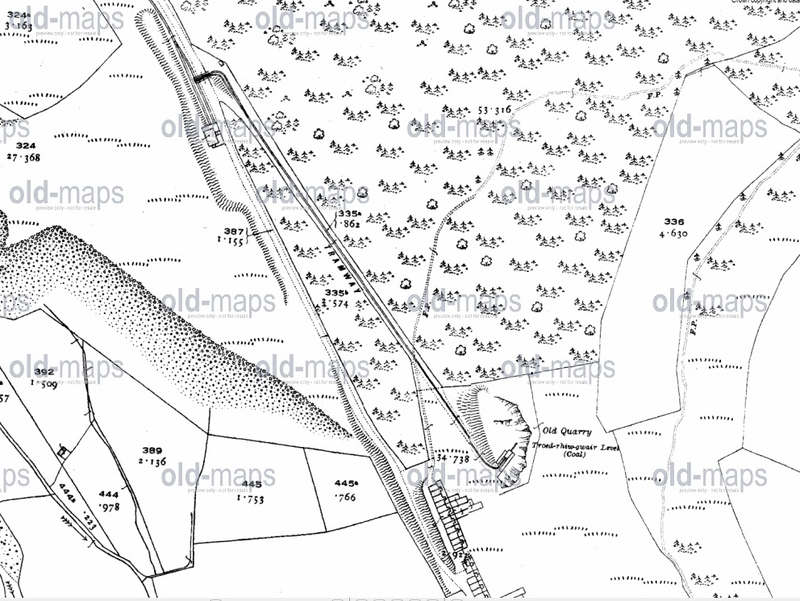 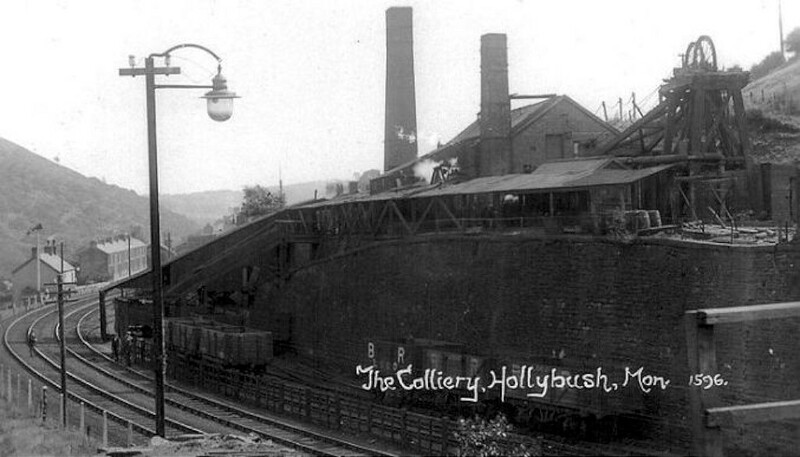 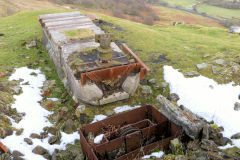 Hollybush 'Old' Colliery was sunk in the early 1870s and appears to have closed prior to 1900. 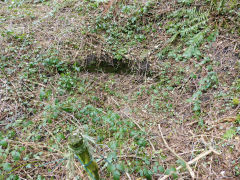 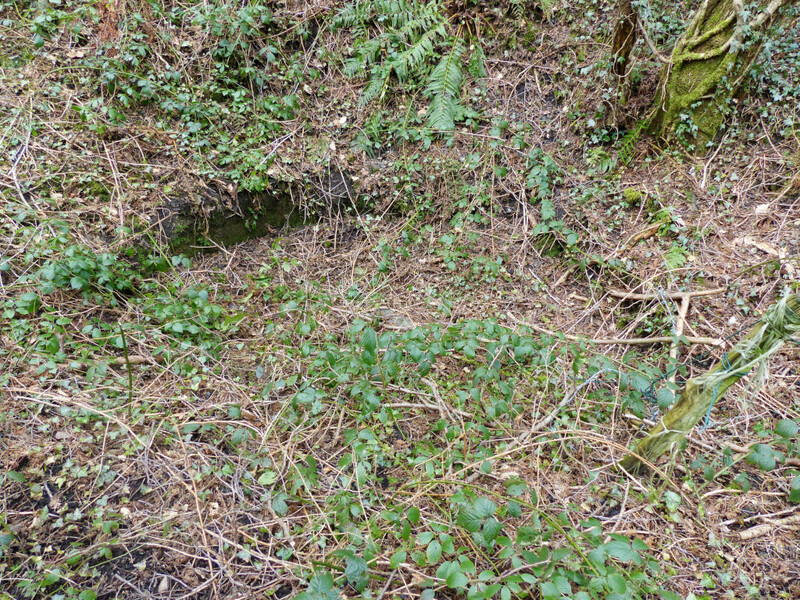 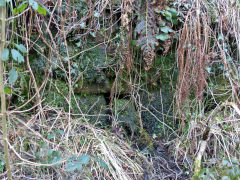 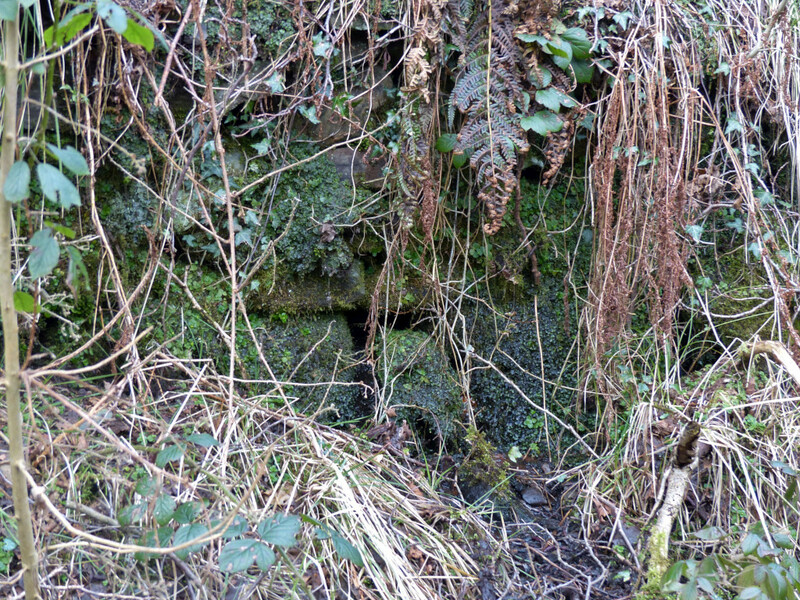 Little remains but there are some small tips, stonework and the site of the shaft under the brambles. 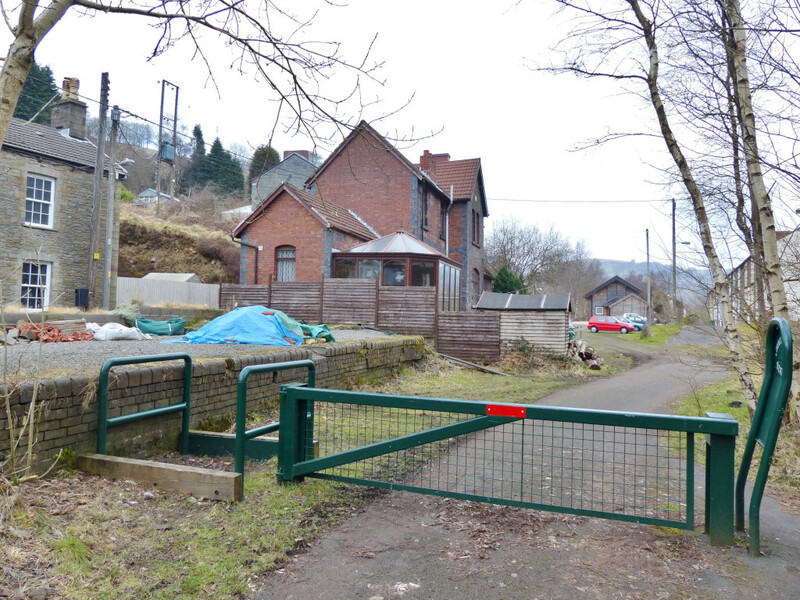 The Station House (SO 1657 0334) is now a private house, offers over £150k and it's yours. 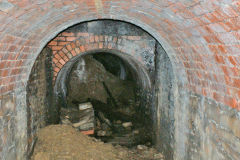 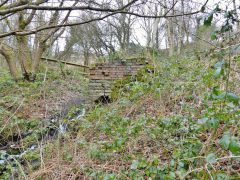 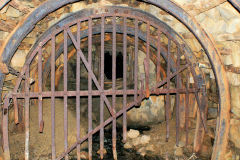 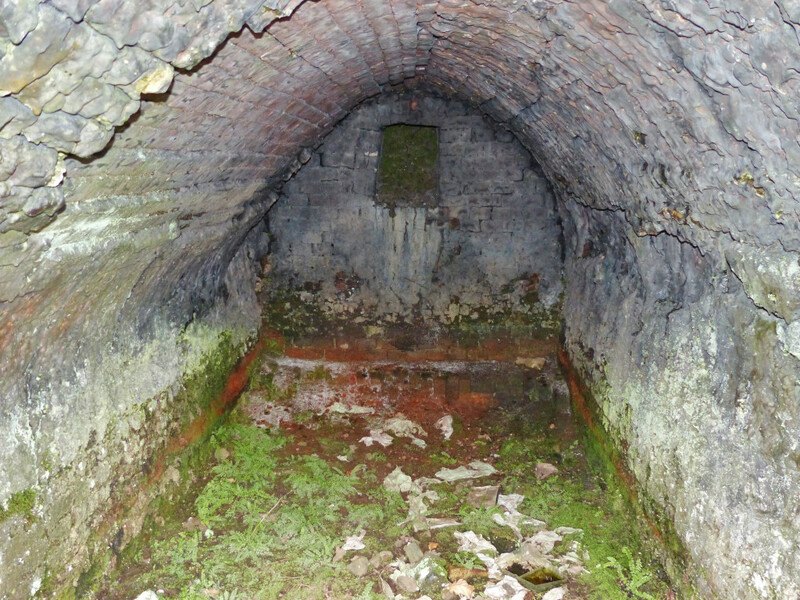 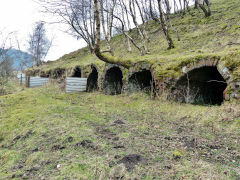 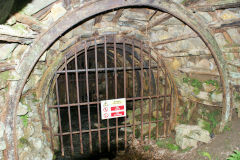 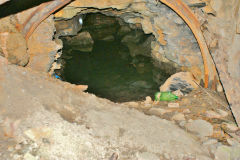 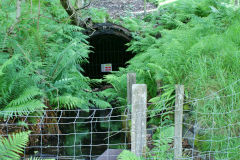 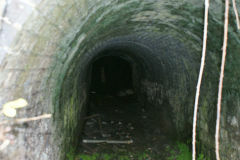 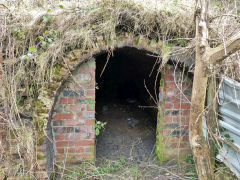 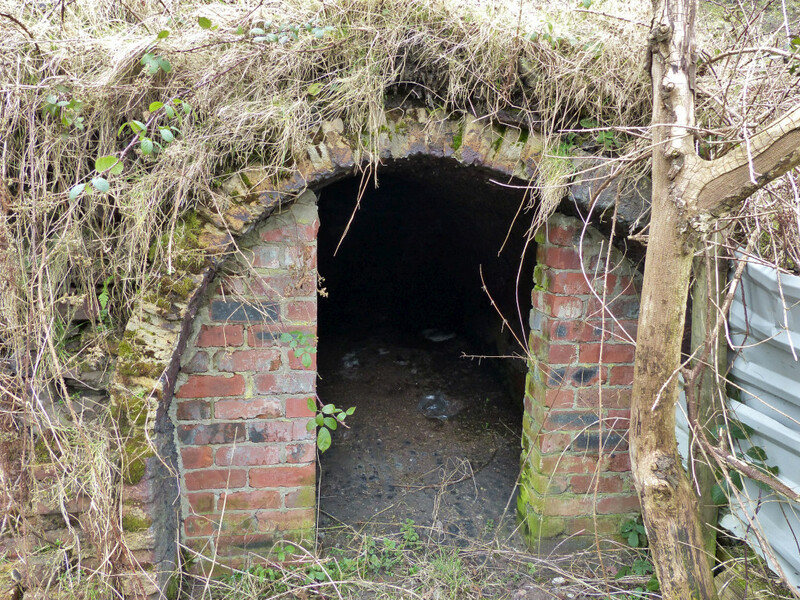 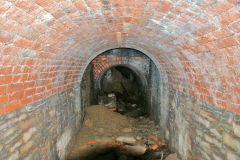 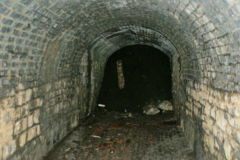 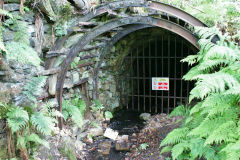 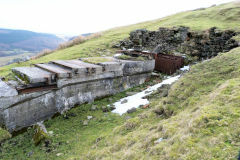 The subway (SO 1659 0349) is partially filled in and once provided access to the footpath down to New Hollybush Colliery. 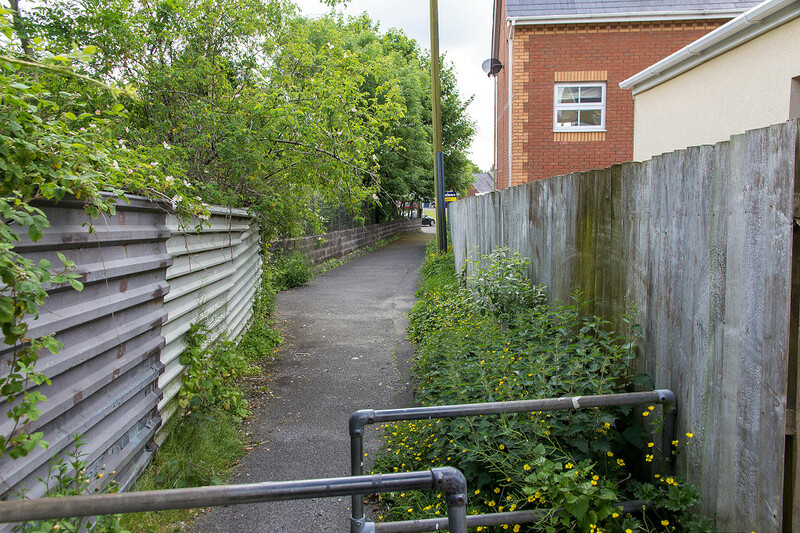 If you didn't fancy the subway then there are steps a little further up the line. 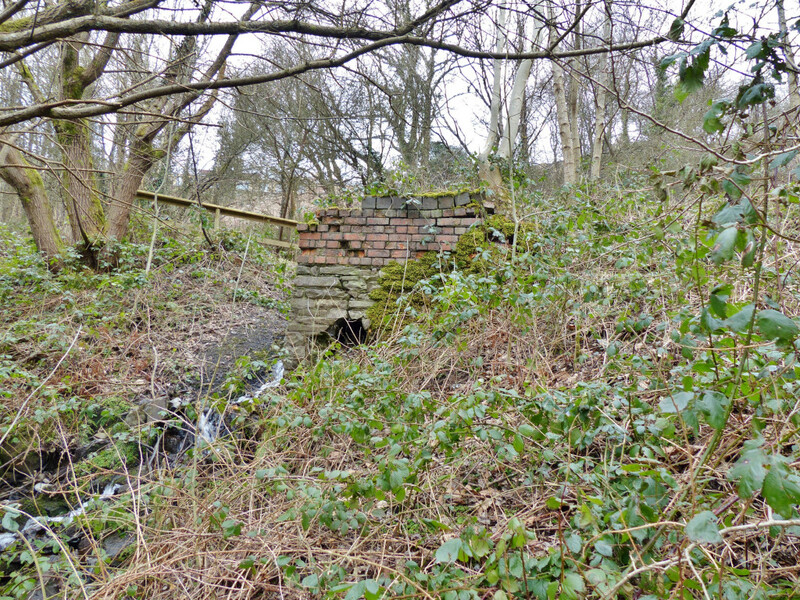 To the South of the station some brick and stone foundations exist at SO 1657 0334. 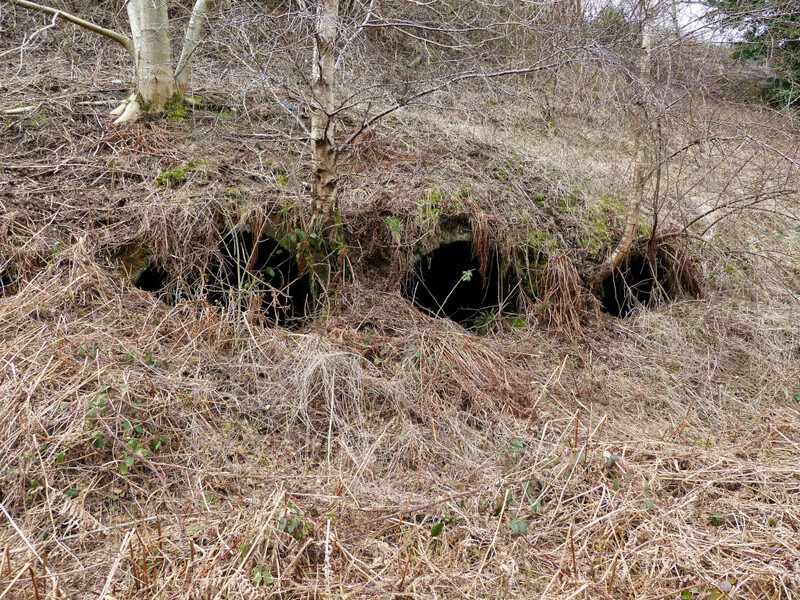 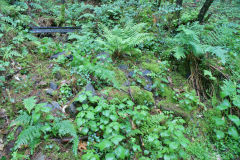 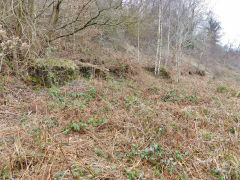 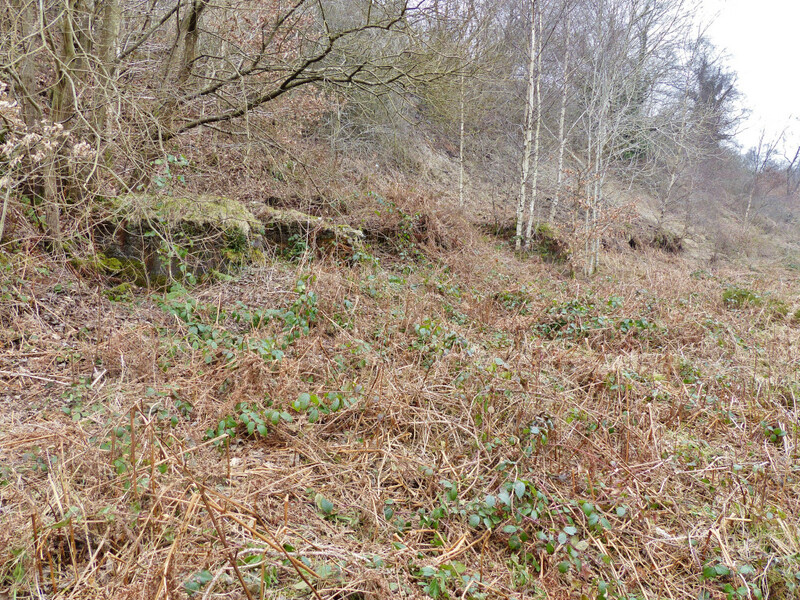 The Northern bank of coke ovens is derelict in the undergrowth at SO 1650 0375. 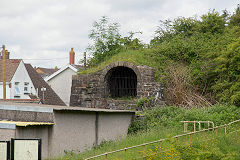 The Southern bank, SO 1654 0362, is better kept, being used for animal feed and shelter. 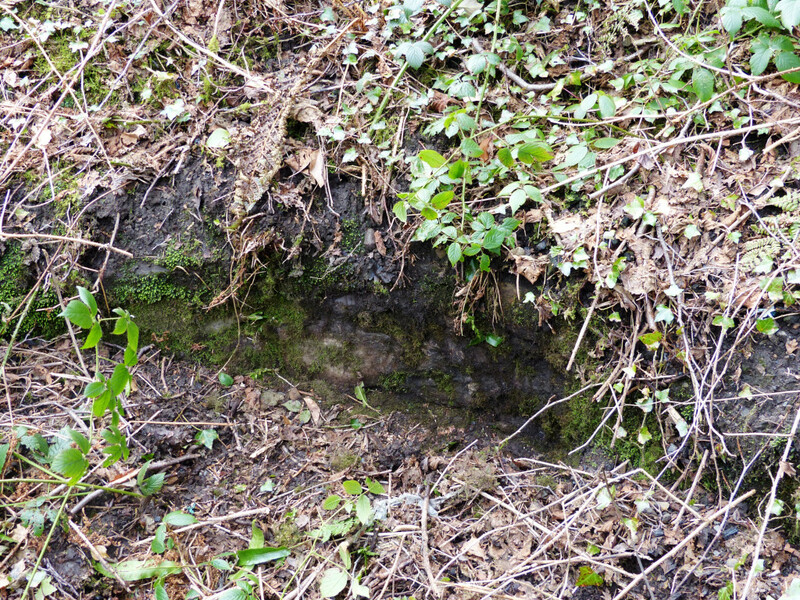 Closer to the village at SO 1655 0353 are some stone and concrete foundations. The LNWR runs below the coke ovens under a long and substantial stone retaining wall. 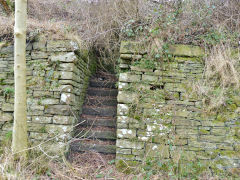 The sites of the lower levels and odd stonework can be found beside the river over the footbridge. 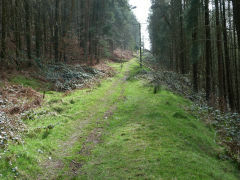 The tramway from the levels up to the gated ventilation level (SO 1667 0401) runs parallel and to the left of the forestry track. 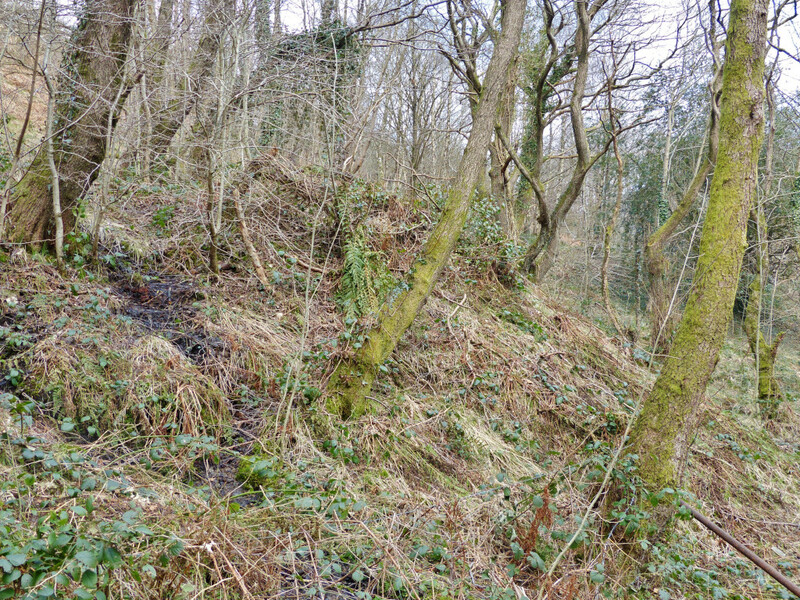 Just past the level, the fenced airshaft is up the bank to the right. 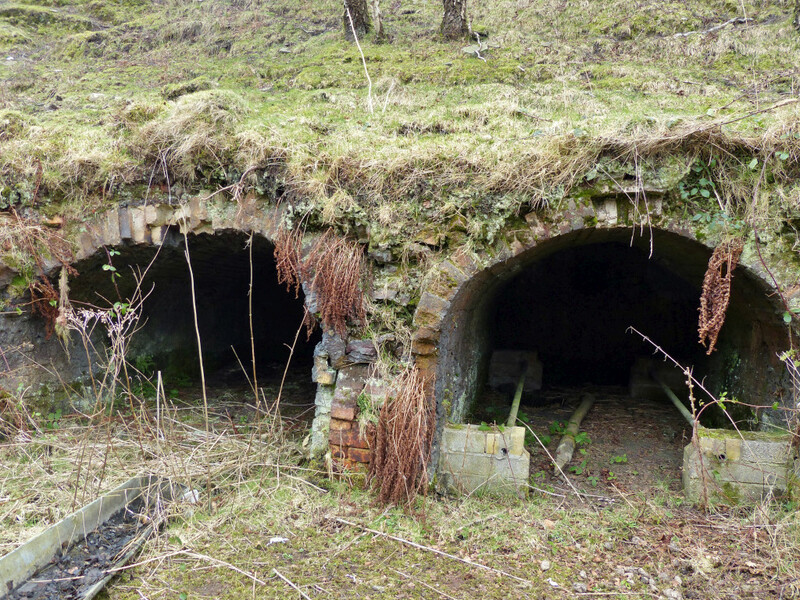 The Pochin Colliery of the Tredegar Iron Co worked from 1876 to 1964 but has been pretty well cleared and there's little to see now. 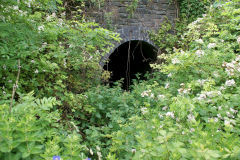 The bridge under the LNWR at the Southern end of the site at SO 1631 0442 is an impressive piece of stonework. 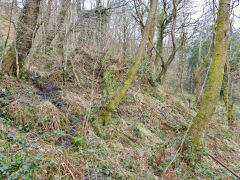 The lane led to Pont Gwaithyrhaearn, a pre-1700 charcoal iron furnace, lime kilns and foundry, described here :- Pont Gwaithyrhaearn. 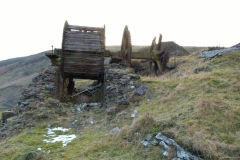 This Tredegar Iron Co colliery was open from c1900 to the late 1930's in one of the old quarries above the village. 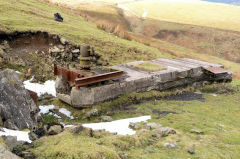 A shallow incline ran down to the exchange bank at Peacehaven (SO 1548 0730) which was at the end of a long siding from Tredegar Gas Works and the LNWR. 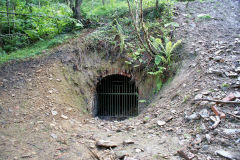 The course of the tramway, exchange bank, top of the adit and some brickwork from the haulage engine are reminders of its existence. 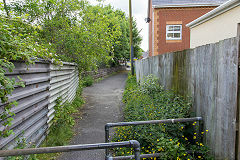 A small level (SO 1593 0659) was behind the school, open in the 1920s and '30s. 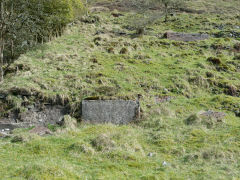 Just the site of the level remains but close your eyes and imagine.... The Fountain Inn at SO 1584 0655 is disused and rapidly becoming derelict, pity you can't get a pint there now, it's hot work wandering around here. 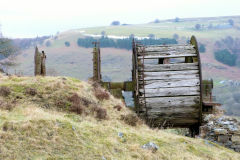 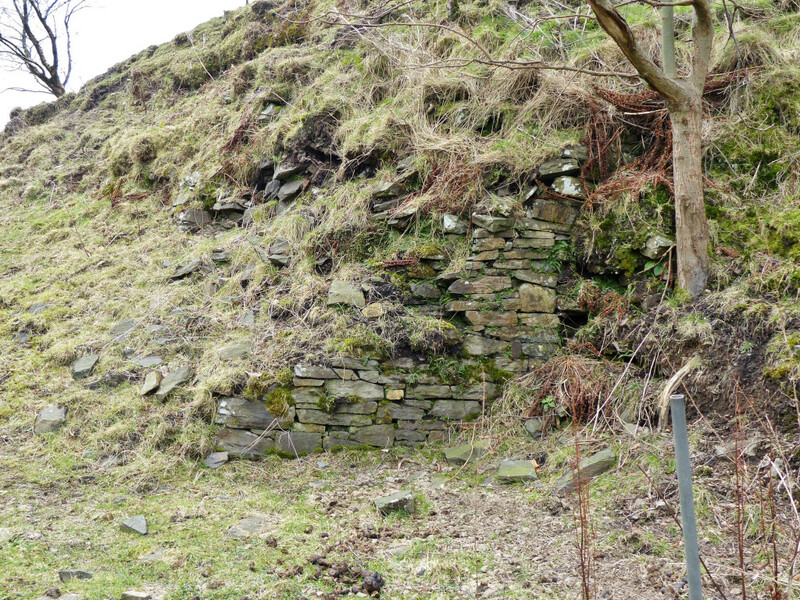 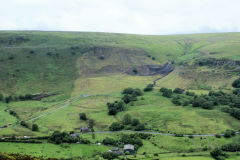 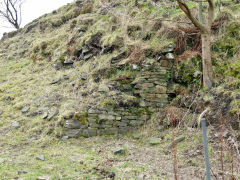 The winding and brake drum crumble away at the head of the incline, where quarrying and coalmining took place. 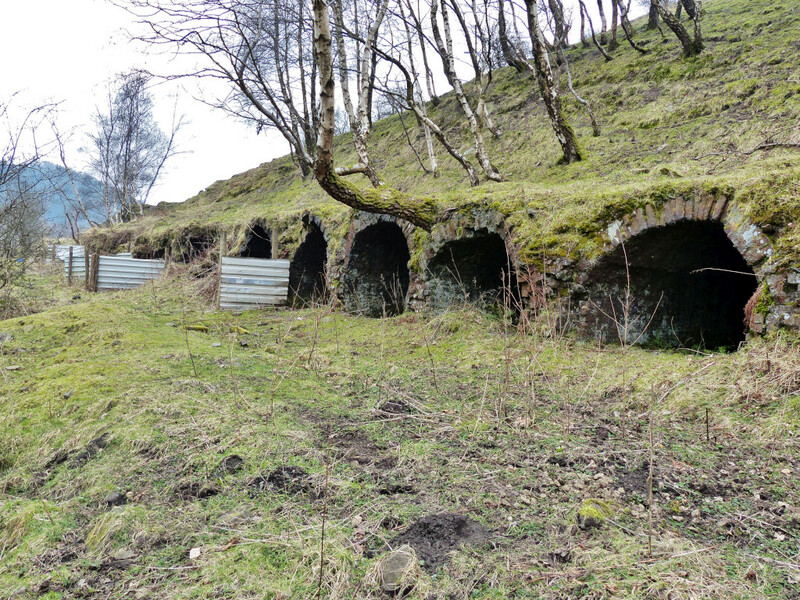 A tramway follows the coal seam Northwards past a number of small levels to SO 1486 0635. 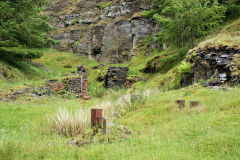 A Tredegar Iron Co colliery opened in 1850 and closed in 1941. Like Pochin, the site has been cleared but some tips and other bits and pieces remain. 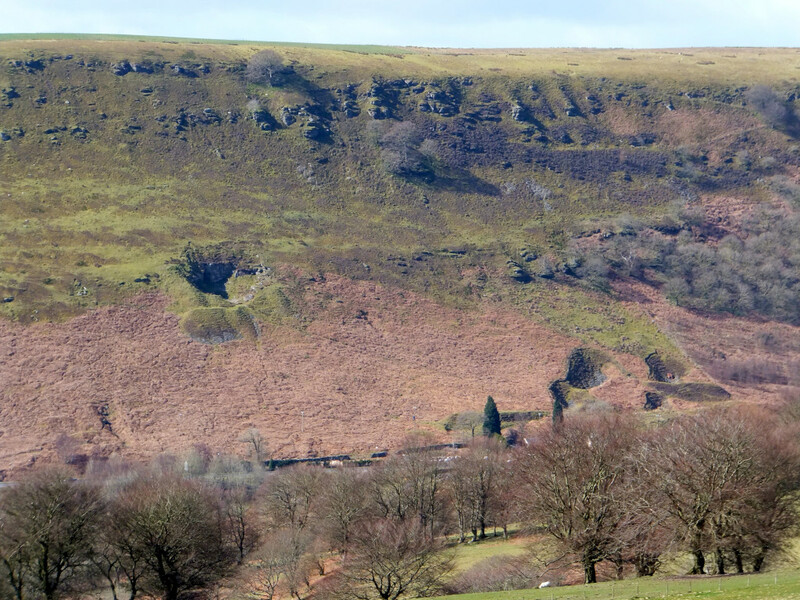 However, there are much more interesting bits to the West in them thar' hills. 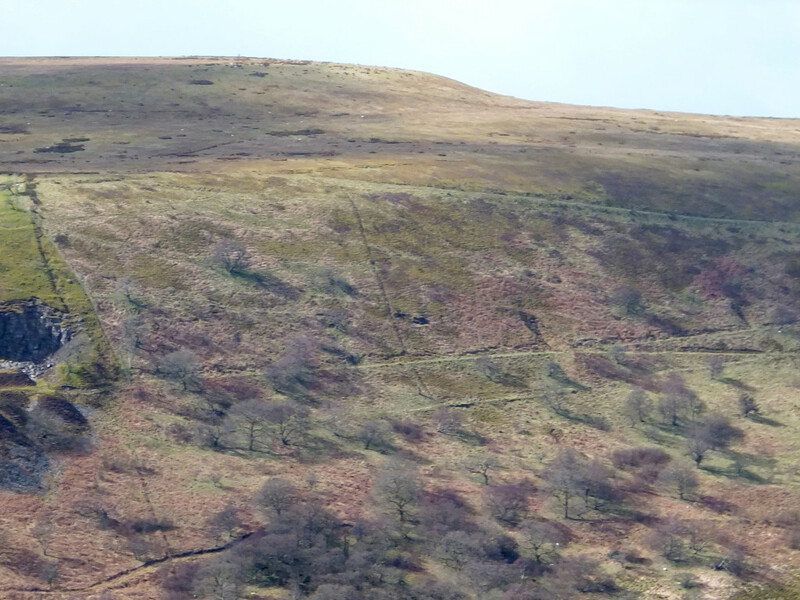 The remains of the aerial ropeway across the mountain can be seen from the top station at SO 1510 0520 to the bottom station at SO 1520 0560 with a number of pylon bases in between. 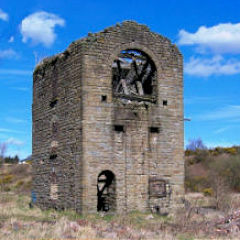 Sirhowy Ironworks, Tredegar, were first established in 1778. 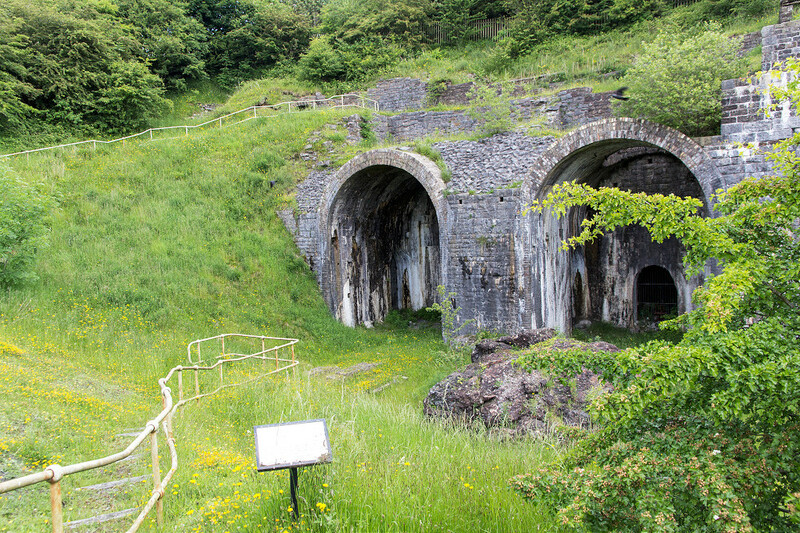 From 1803 until 1818 Sirhowy supplied nearby Tredegar Ironworks with pig iron and from 1818 it supplied Ebbw Vale Ironworks with pig iron. 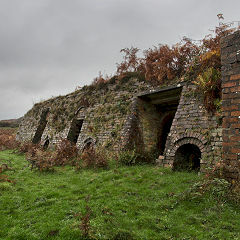 In 1844 there were five furnaces. 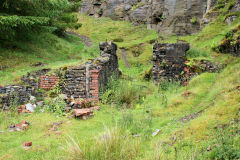 By 1877 the amount of iron cast was more than could be contained in the cast houses and they were partly demolished. 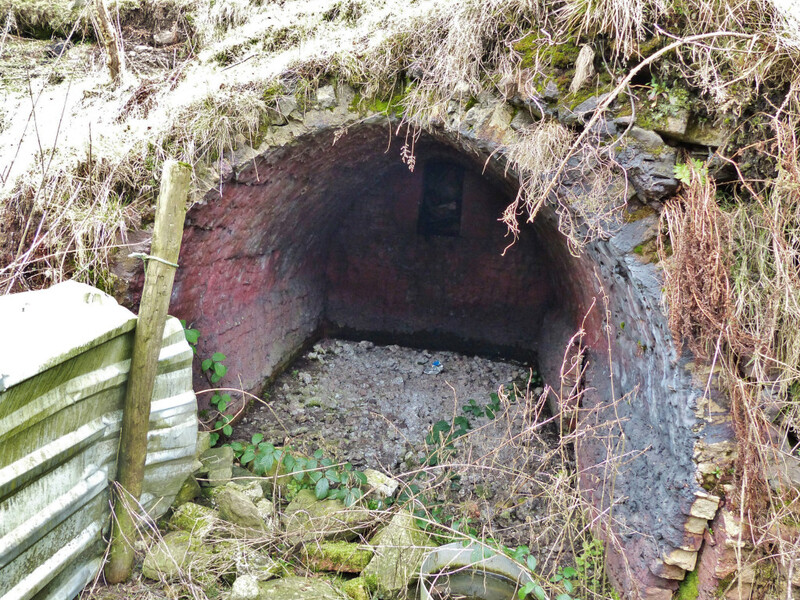 After ironmaking ceased at Sirhowy c.1883 it continued to produce coke for Ebbw Vale until finally closing in 1905. 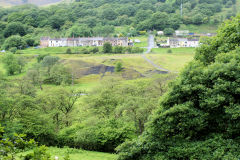 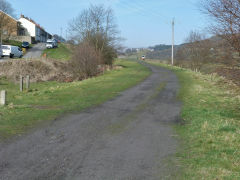 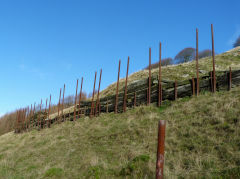 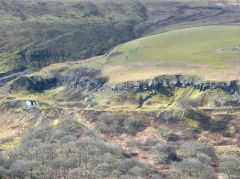 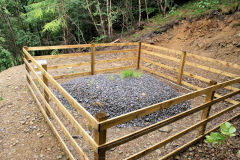 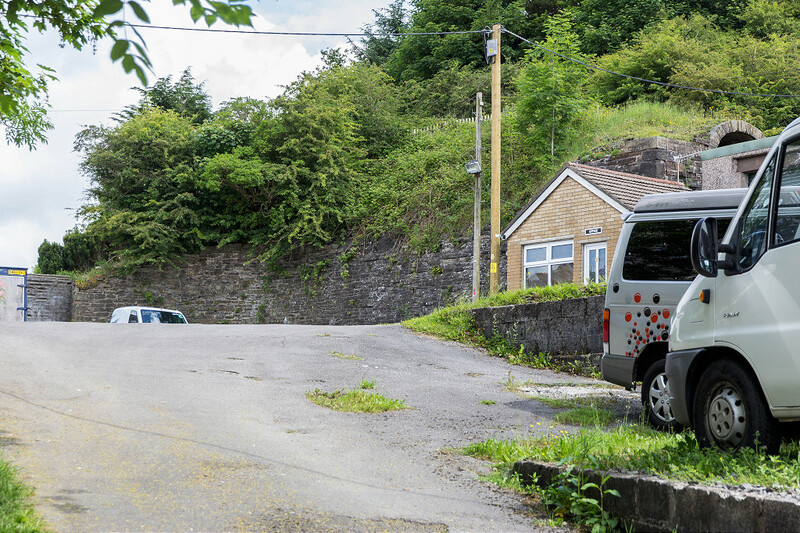 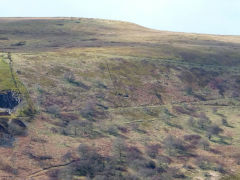 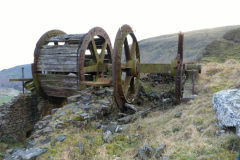 The Trefil Tramroad dates from 1796 running from the quarries at Trefil to Ebbw Vale and Beaufort Ironworks. 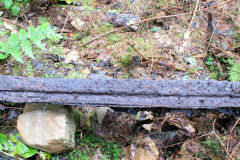 The original tramroad was converted to a narrow-gauge tramway in 1908 using steam locomotives. 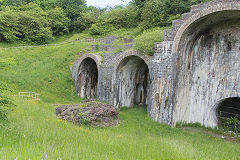 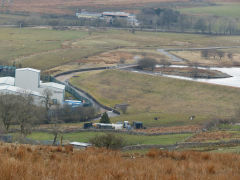 As Ebbw Vale Steelworks grew, in 1922 the tramway was itself converted to a standard gauge railway and re-aligned, particularly at Nant Milgatw. 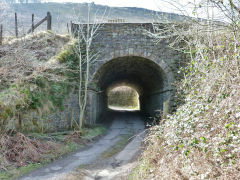 The line closed in 1964 and much of the Ebbw Vale end has been eaten away by the A465 dual carriageway. 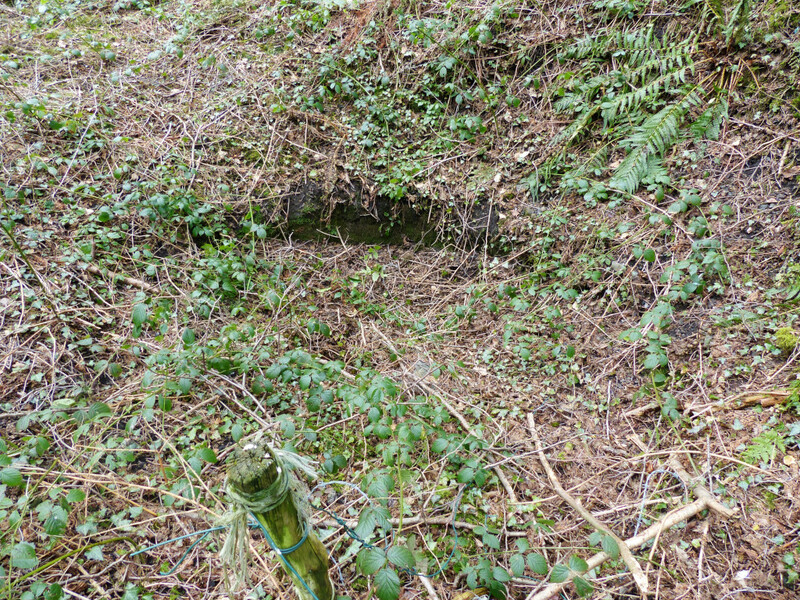 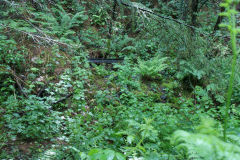 The tramroad crossed a culvert on a sharp bend so the railway by-passed it on a new formation. 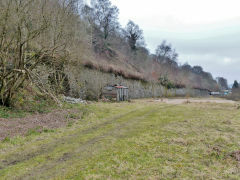 The Brinore Tramroad ran from Trefil to the limekilns and wharf at Talybont. 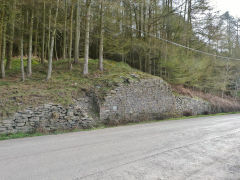 At trefil it connected with Benjamin Hall's tramroad from Rhymney Ironworks and Brinore Collieries. 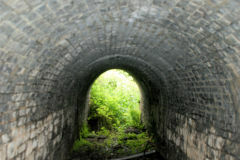 It opened in 1815 but by 1860 traffic was minimal and by the 1870s unsuccessful efforts were made to sell the tramroad. 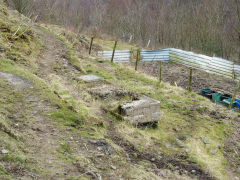 The track was still in place in 1890 and for sale when the company records just cease. It's highly likely it technically still exists. 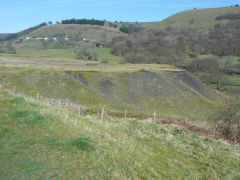 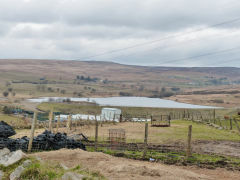 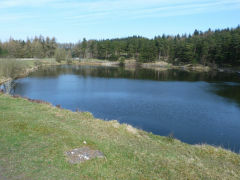 The majority of the route is still open as a footpath and well worth a look. 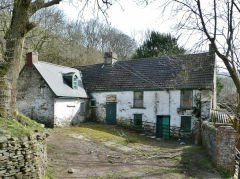 The counting or toll house at Talybont was derelict for some time before restoraton as a holiday cottage. 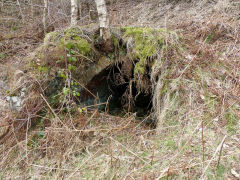 Pont Gwaithyrhaearn means 'The Bridge Iron Works' but there are scant remains of this pre-1700 charcoal iron furnace, lime kilns and foundry. 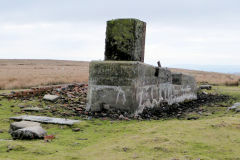 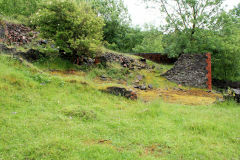 The site was measured when derelict in 1831 and it was 3 metres (10 feet) across the base. 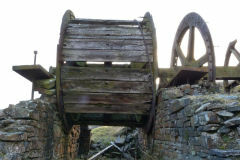 It is believed to have fallen into dis-use circa 1760. 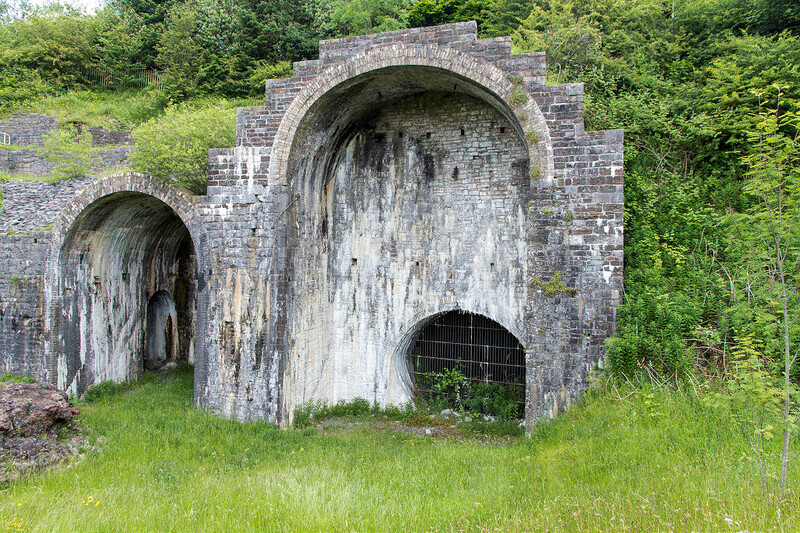 It's worth bearing in mind that this is not the same as Pont-y-gwaith Ironworks, of the well-known drawing, which is in the Taff Vale near Abercynon. 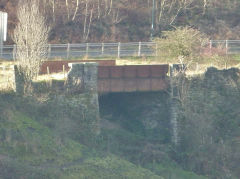 Pont-gwaith Level was operational from pre1843 to 1896 and little remains of that either. 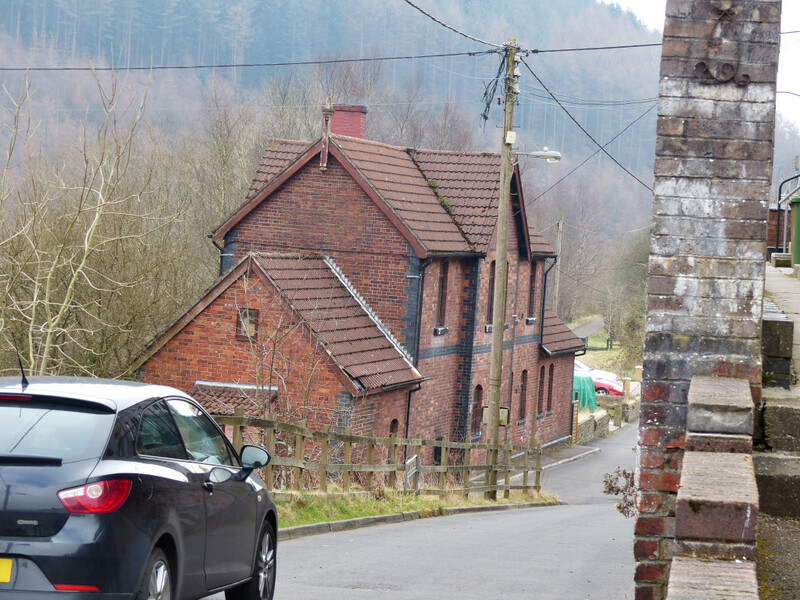 "Pont Gwaith yr Haearn is a kind of small and insignificant village on the banks of the River Sirhowy about three and a half miles below Tredegar. 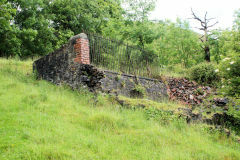 It got this name from the furnace that once smelted iron there many long years ago - and the name will probably stay for as long as the river Sirhowy washes the foot of Manmoel's cliffs and woe betide the man who would attempt to change this name which has adorned the old furnace so long, at the hands of Lady Hall, Llanover (Gwenynen Gwent), for her Ladyship is the owner of the place and her zeal and enthusiasm for keeping up the old Welsh names of places in Wales [is very great]. It was half a century ago, namely in the year 1818, that I first paid a visit to Pont Gwaith yr Haearn. 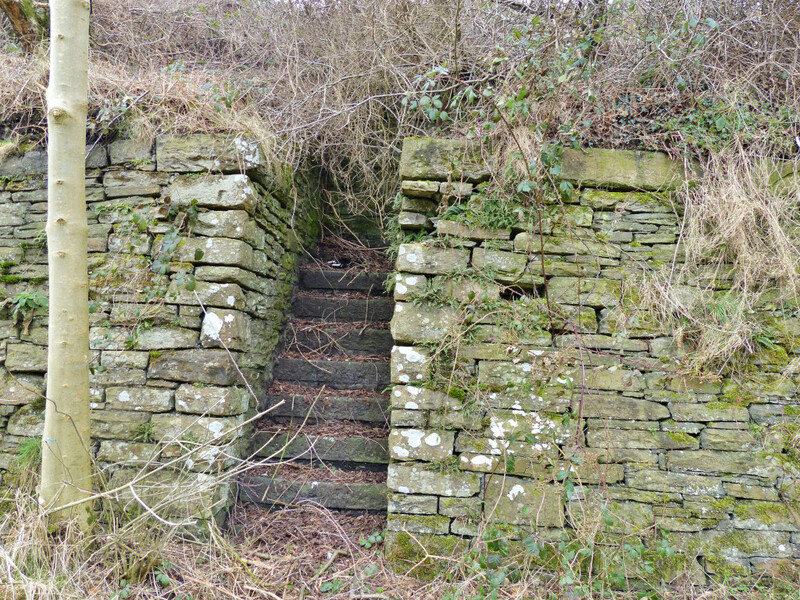 At that time there was little cause for even the most meticulous of antiquarians to doubt for a minute in his mind the existence of the old furnace of Pontgwaithyrhaearn, for the black heaps of cinders that surrounded the place were sufficient proof of the existence and antiquity of this old furnace. 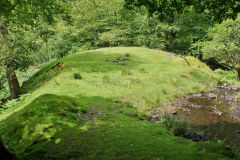 And although the black heaps of cinders that surrounded it were covered over with grass, and the old furnace itself almost completely covered by nettles - like one ignored by the finger of tradition and disregarded by history - yet it still demands its rightful place as equal, if not older, in age than any of the ancient furnaces of Wales:- such as the Pont y Gwaith furnace, in the parish of Merthyr, Pontyrhun furnace, Cwmywernlas furnace, Melin y Cwrt and the old Caerphilly furnace. 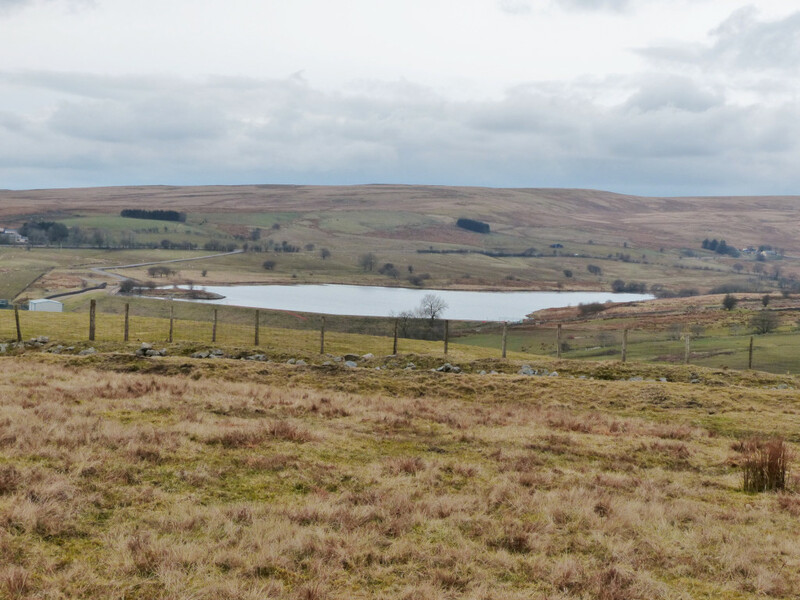 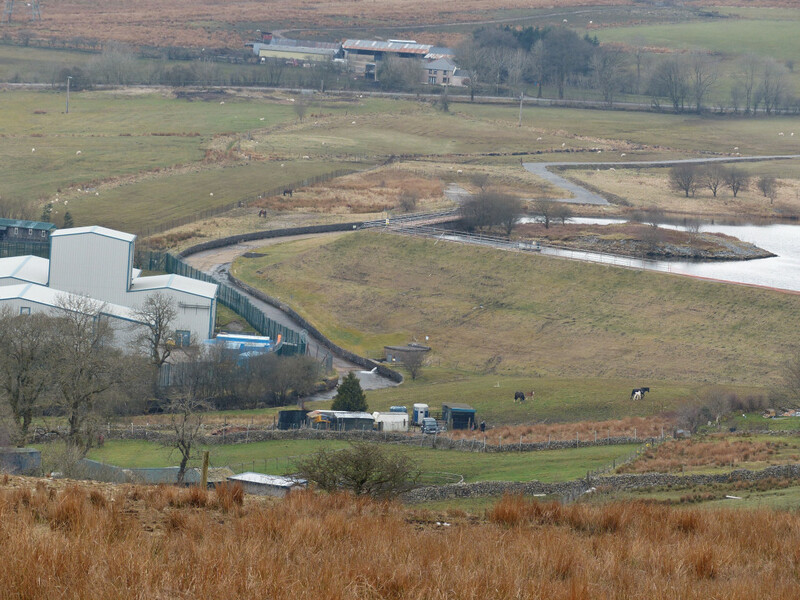 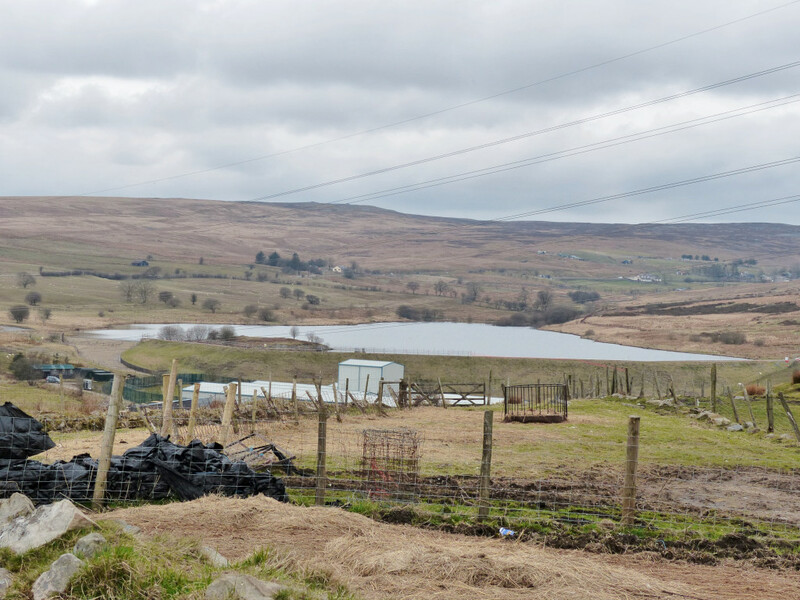 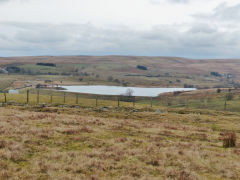 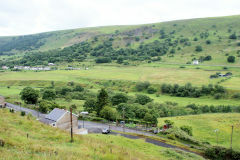 During the fifty years that I have spent in this place, namely Tredegar, I have doubtless been some tens of times to Pontgwaithyrhaearn, every time quizzing the inhabitants in relation to relations to Pont Gwaith yr Haearn; but it would have been as well to ask the man in the moon as to ask them, for the answer was "We know nothing." 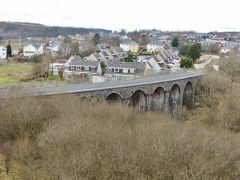 But small wonder, for they were all incomers and the old natives of the place had all passed on - without leaving behind them as much as a single tradition, but for the place name, namely Pont Gwaith yr Haearn. 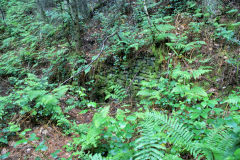 About 37 years ago , I measured the old furnace, and I found that it measured about 40 feet in circumference and its diameter was about 10 feet and 3 inches. But recently I paid a visit to the old furnace, and to my disappointment it was no more than 30 feet in circumference and 10ft in diameter. 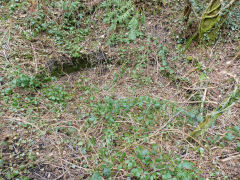 It is probable that this can be attributed to the decay of time during the 37 years that have passed - for it is now level with the ground, aye, some 3 feet or more lower now than when I first saw it. 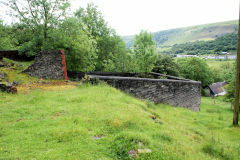 But having thus loitered around the old furnace, I must now lead the reader to the facts which prove, undeniably, the existence of Pont Gwaith yr Haearn. 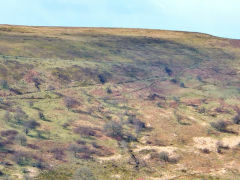 "A wado hyn aed a hi A gwaded i'r haul godi." About 37 years ago I went to a place called Llanhilleth [Llaniddel in the original] to ply my craft and who should I meet there but Mr. Rees Davies, the son of the Mr. Rees Davies who built the Tredegar furnaces, from No.1 to No.5. 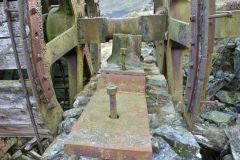 Mr Davies had been in France for some years keeping an ironworks. 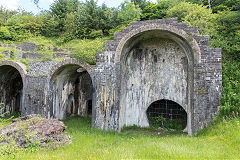 But after the start of the Revolution in France, he returned to Wales an eminently respectable gentleman of wealth - and he started up at the Llanhilleth foundry. 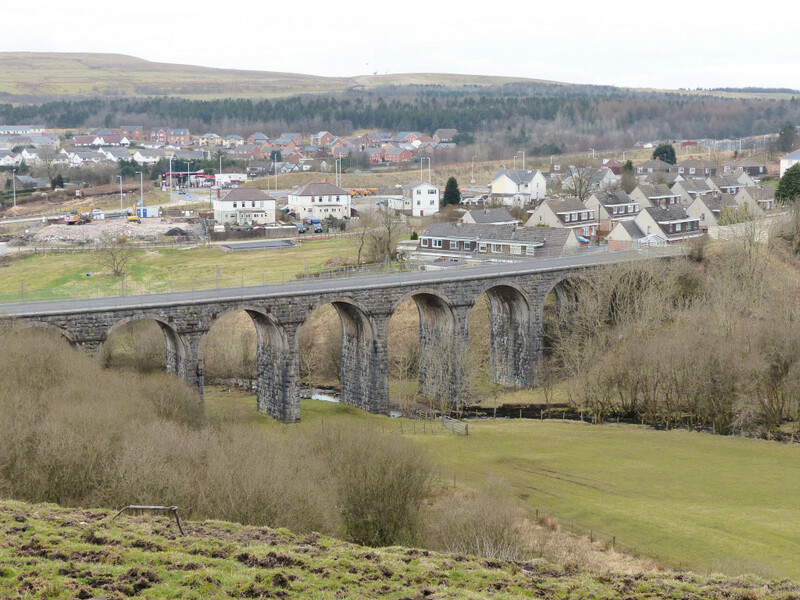 One day, I met Mr Davies and he told me that he had, at last, extracted the history of Pont Gwaith yr Haearn to the last detail. 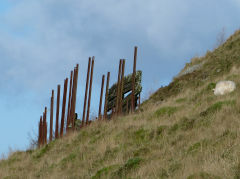 "From whom, Sir?" 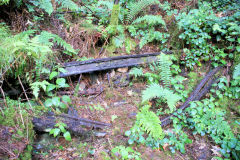 I answered. 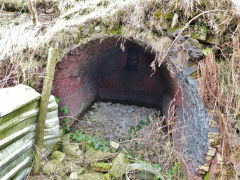 "From Mrs Thomas - an old lady who is bed-ridden through great age - who lives in the house next door to the foundry. 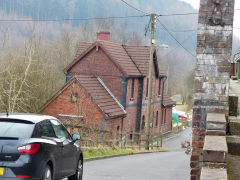 This lady is the mam-gu [“grand-mother”] of Mr. John Thomas, formerly of Pontymeistr [now Pontymister] but now residing in France. 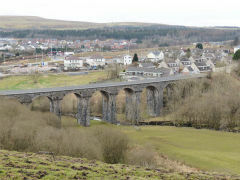 And Mr Thomas told me, when I was in France, that it was his family who founded Pont Gwaith yr Haearn - and here are all his words shown to be true by his mam-gu - "Go in turn to Mrs Thomas, and she will surely give you the same details to you as I got - for her memory is quite good considering that she is 85 years of age." 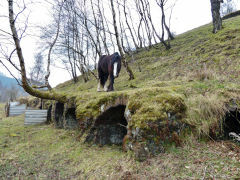 - A long life indeed, is it not, dear Reader? 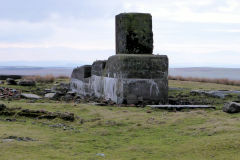 This news caused me great restlessness in my mind - and restless I was until I worked my way around to holding some small conversation with this venerable old lady. 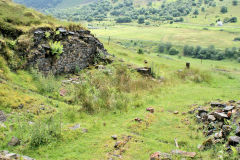 Let the reader carefully peruse the conversation that took place between us, for I have nothing but what she told me as any foundation for the existence and antiquity of Pont Gwaith yr Haearn - and I hope that that is sufficient for any sane and sensible man when he considers out of whose mouth it came." 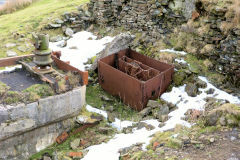 "It's likely, Mrs. Thomas, that you remember the furnace at Pont Gwaith yr Haearn working." 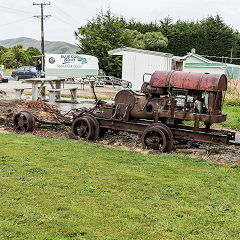 "Yes I can, my boy - it was there that my father was working when I was born - and after that my husband's relations worked there." 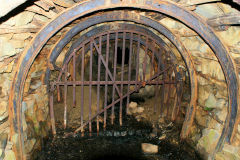 "Where did they obtain coal, Mrs. 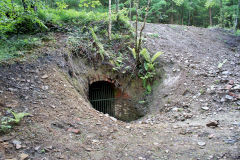 Thomas?" 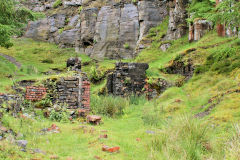 "It was not coal that they used at that time, but charcoal; the government was against burning coal at that time, because, they said, it poisoned the air." 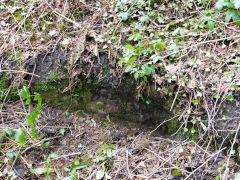 "What did they have making blast for the fire at that time, Mrs. Thomas?" 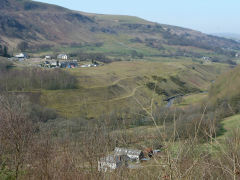 "Did your family live in Pont Gwaith yr Haearn?" "No, but they lodged there, going home every Saturday night to Twyn yr Odyn, Merthyr; and when Monday morning came they returned from there as the crow flies to Pont Gwaith yr Haearn." 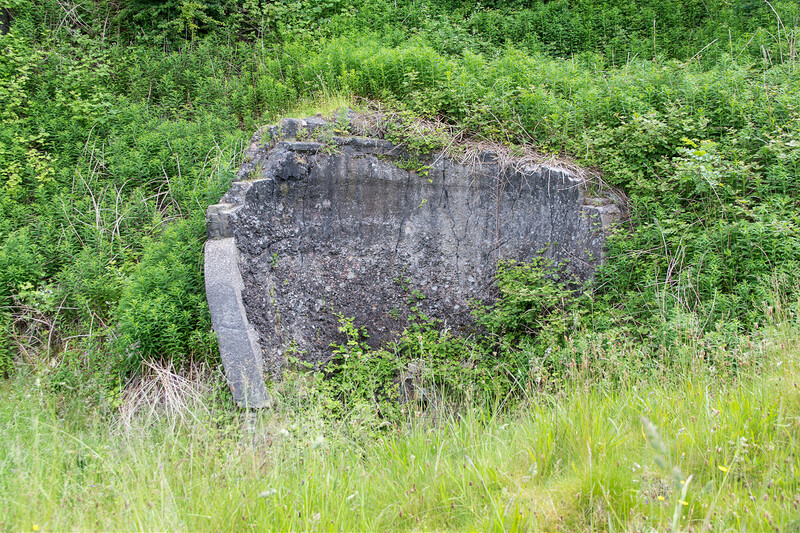 "Do you know, Mrs. Thomas, where they obtained iron-ore to make iron?" 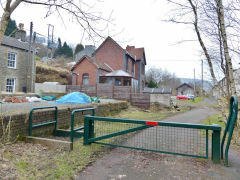 "Somewhere in the neighbourhood of Pont Gwaith yr Haearn they got it, but I don't know where." 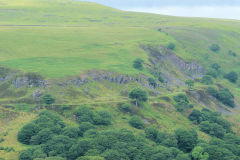 "Were the masters Welshmen or Englishmen?" 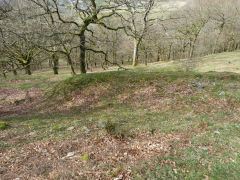 "They said they were Welshmen, but they were Welshmen from France; two gentlemen without equal they were as well, they are very well remembered." 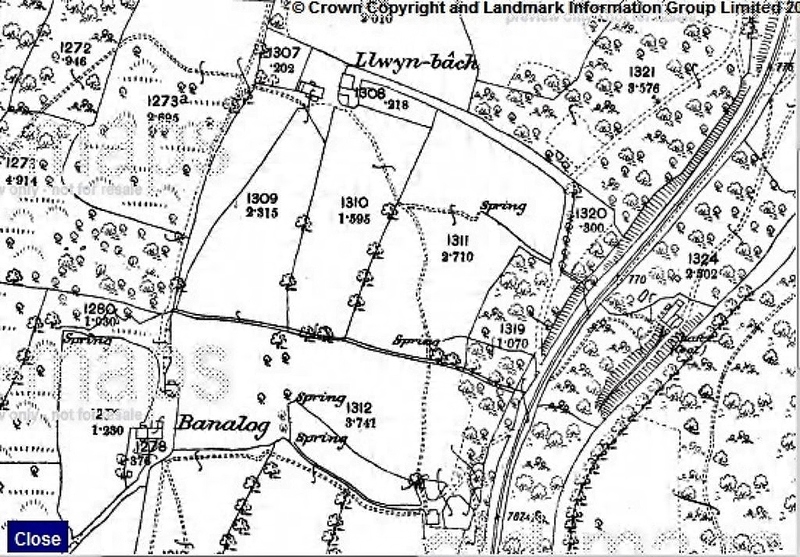 "It is a fact, Mrs. Thomas, that a nation of Welshmen has been settled in France for 1200 years, we call them Llydawiaid - Bretons." 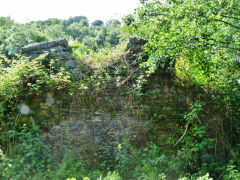 "Well, what became of these gentlemen?" 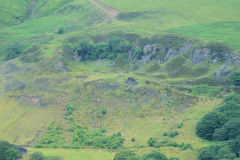 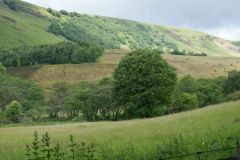 "Well, they returned to the soil of their native land, namely France, but despite that we received letters from them for several years, because my family - that is the Thomases of Twyn yr Odyn, Merthyr - were greatly respected by them - and it was their son that enticed John, my grandson, from Pont y Meistr to France to keep an ironworks - and that is where he is to this day." 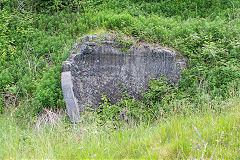 "How old were you at that time?" 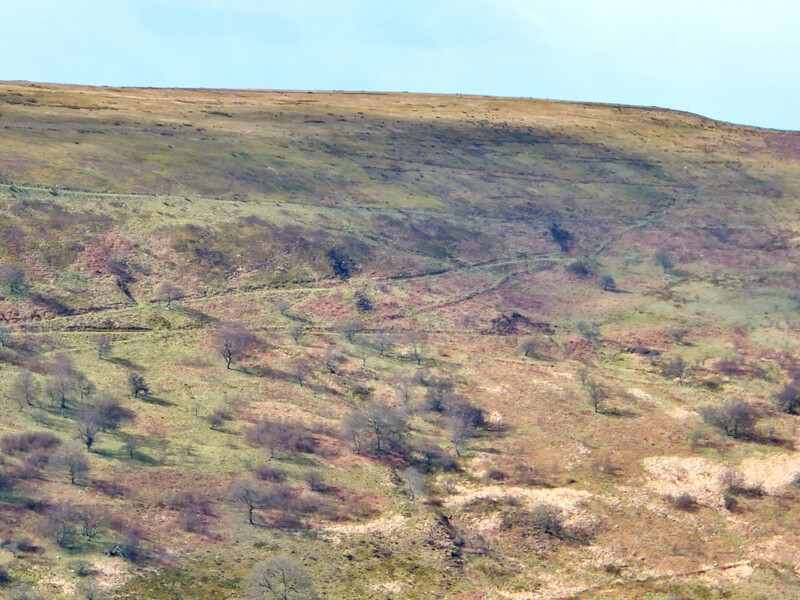 "Well, I could have been between ten or twelve years of age." 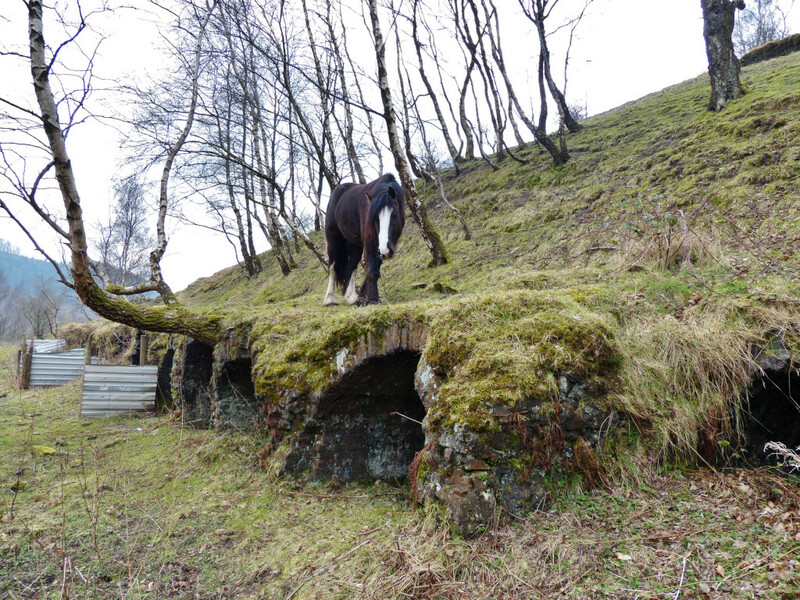 "Well, I am now eighty five." 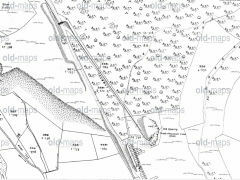 It is obvious that were this old lady alive today  she would be 128 years old. Well, that is the substance of the conversation that passed between myself and the aged lady relating to Pont Gwaith yr Haearn, and had I not chronicled it at the time, doubtless the history of Pont Gwaith yr Haearn would have been completely lost, probably forever. 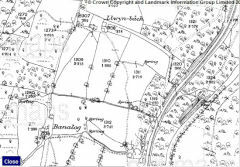 It is only fair to inform the Reader at this point that, if called upon, the writer is able to refer him to grandchildren, great-grandchildren and descendants of this old lady and that without travelling more than ten miles. 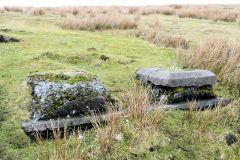 The natural conclusion in the light of the above statements is that the Bretons came over to Wales to their fellow countrymen, during the time of the heated war between England, France and Spain during the reign of George II, and that, after the peace that was made in 1748 during the same reign (within two or three years) they returned to Brittany in France. 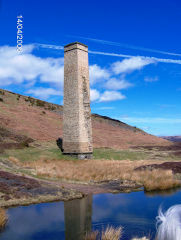 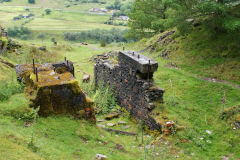 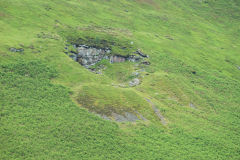 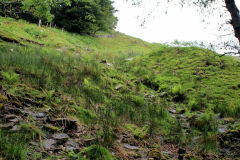 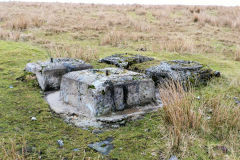 And another natural conclusion is that they built the Pont Gwaith yr Haearn furnace about the year 1738 or 1739. 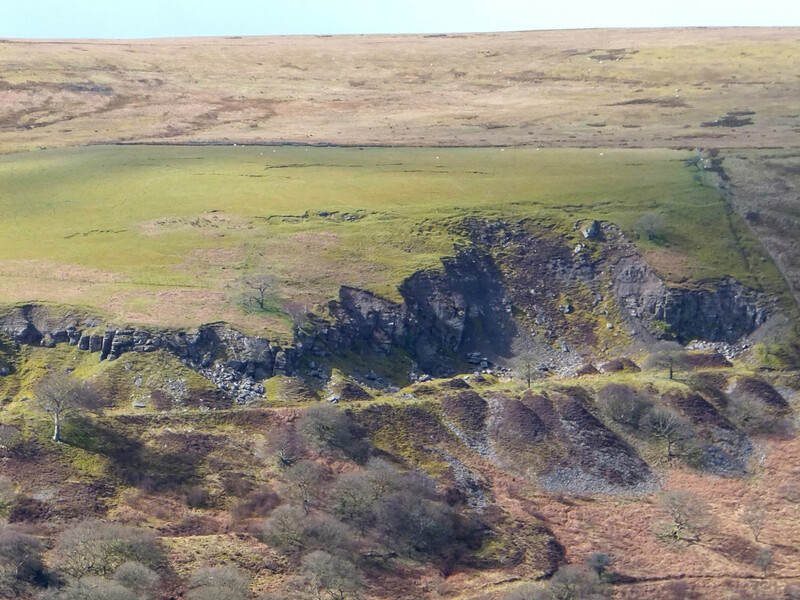 In the time of King James, all the furnaces of this Kingdon stood at some 300 in number; and in the 40 years of the reign of George II they were reduced to 59, and Pont Gwaith yr Haearn was one of them. Cawd dyfnion ddirgelion i'r golwg. 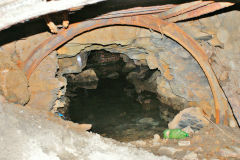 Deep secrets have been brought to light." 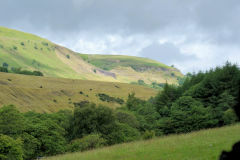 Thanks for addition information to :- Mark Lloyd.